With every vacation, travelers have to spend their time, energy, and—most of all—money, in pursuit of a unique, memorable experience. Few destinations can live up to the hype, but we knew Palm Desert offered exciting and aspirational lifestyle experiences to make a trip there well worth it. 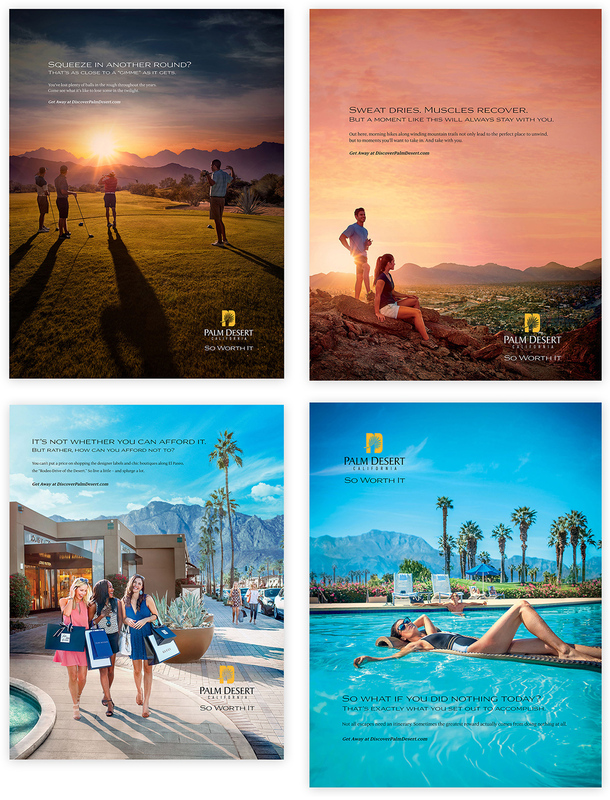 Using a diverse mix of digital pre-roll video, digital display advertising, print ads, out-of-home, PR, and SEM, we moved away from cliché views of a trip to the desert, injecting youthful energy into Palm Desert’s high-end activities and indulgent offerings.